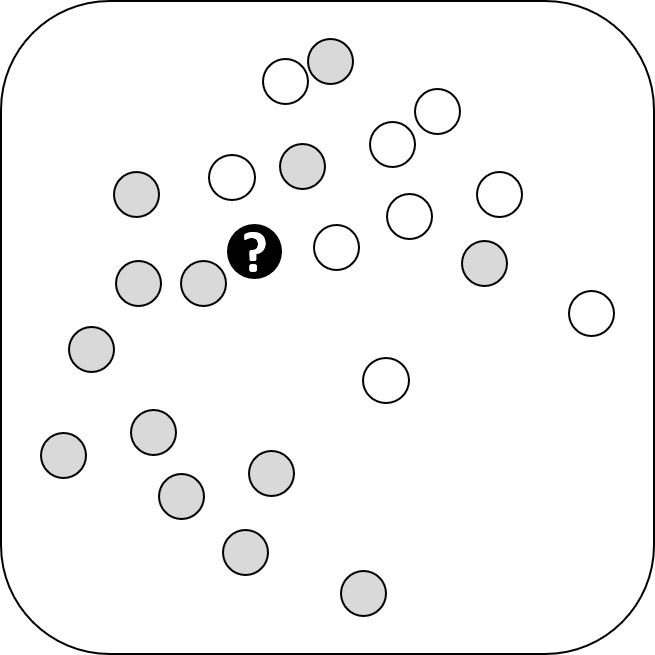 Bitte als "Algorithm Accountability Lab [Prof. Dr. K. A. Zweig]" zitieren. 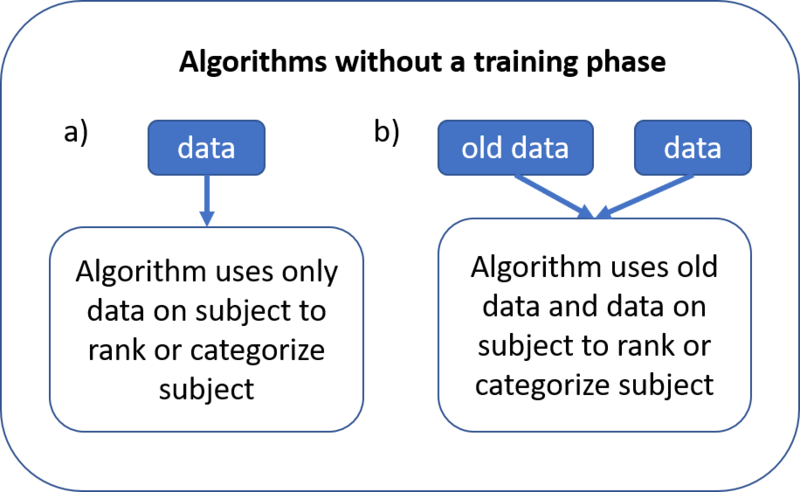 Algorithms without a training phase: Two algorithms without a training phase, a) uses only the new data, while b) uses old data for comparison. Such algorithms are said to be unsupervised. 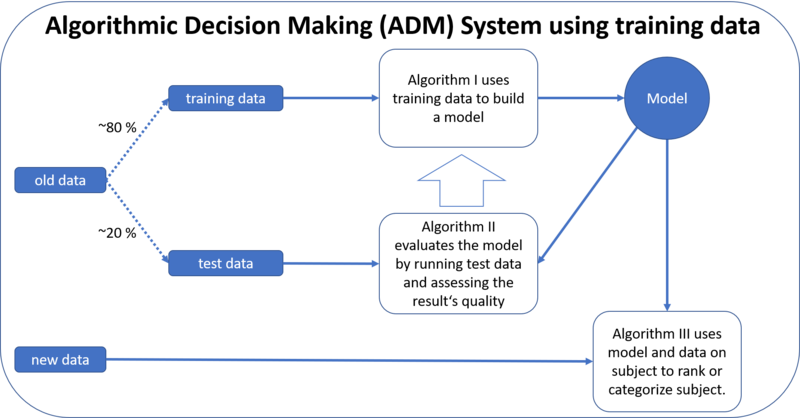 Algorithm with a training phase: ADM System where a model is first trained by using the feedback of a quality assessing algorithm and then used to actually compute the categorization or ranking. 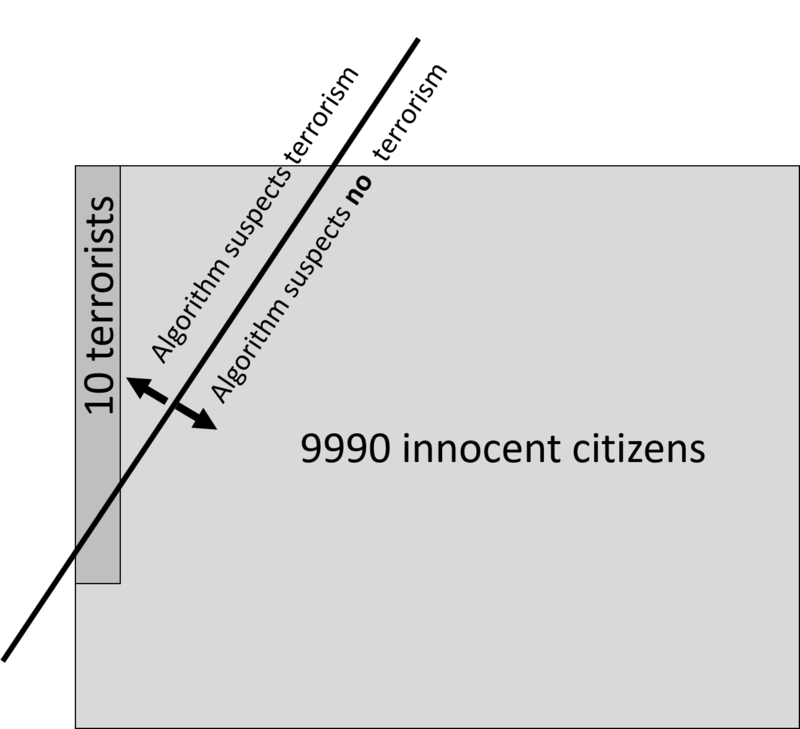 Specificity of an algorithm: If there are two types of citizens, terrorists and innocent people, an Algorithmic Decision Making System for terrorist identification searches for pattern in data where it is known which person belongs to which category. It deduces rules regarding the most important properties associated with terrorists. Given new data on people, the algorithm will decide for some that they are suspicious and for others that they are not. The percentage of found terroristists of all terrorists is called the sensitivity of the system, the percentage of correctly announced non-terrorists of all non-terrorists is called the specificity of the algorithm. Development of an Algorithmic Decision Making System: The design of an algorithmic decision making (ADM) system requires the interaction of various persons and institutions. In a long chain of responsibilities various decisions are made that all have an influence on the final quality of the resulting system. 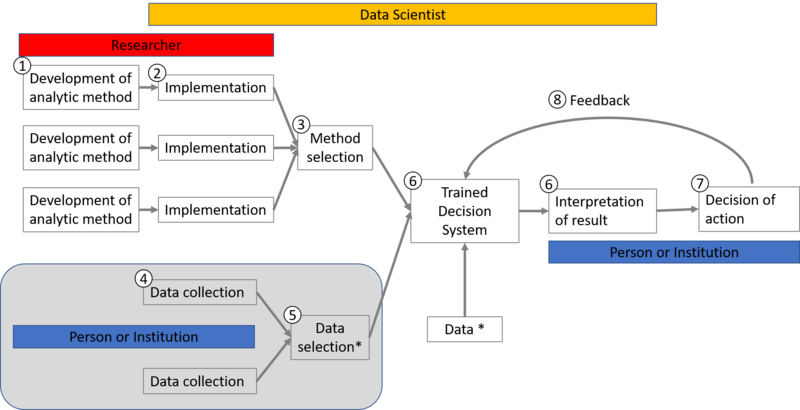 Development of an Algorithmic Decision Making System (with numbers): The design of an algorithmic decision making (ADM) system requires the interaction of various persons and institutions. In a long chain of responsibilities various decisions are ade that all have an influence on the final quality of the resulting system. With numbers.